Nice words about Zombies, Run!, Six to Start, and our games – Zombies, Run! We’ve been busy bees recently. Between Zombies, Run! 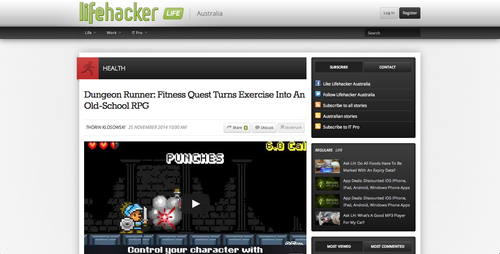 3, Superhero Workout and Dungeon Runner we’ve released three games this year. But we’re not stopping there! We’ve got three more releases for you as part of our Winter of Workouts event. With so much going on, we thought we’d take a look back and see what the media has been saying about us recently. Luckily, it’s all good! Here’s our round-up of our favourite Six to Start articles. Otherwise known as Six to Starticles. If you happen to come across any interesting Six to Start related articles on your travels around the internet, be sure to let us know by emailing us at hello@sixtostart.com. Don’t forget to keep an eye on the Winter of Workouts website to discover each new game as it gets released! 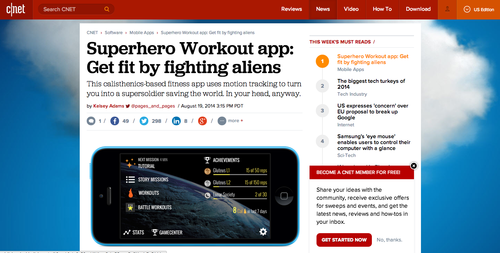 Next Post 7 Minute Superhero Workout Now on Android – plus 40% off!